This paper argues that the idea of ‘creative destruction’ enters the social sciences by way of Friedrich Nietzsche. 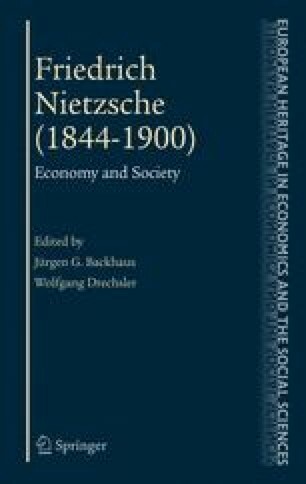 The term itself is first used by German economist Werner Sombart, who openly acknowledges the influence of Nietzsche on his own economic theory. The roots of creative destruction are traced back to Indian philosophy, from where the idea entered the German literary and philosophical tradition. Understanding the origins and evolution of this key concept in evolutionary economics helps clarifying the contrasts between today’s standard mainstream economics and the Schumpeterian and evolutionary alternative.